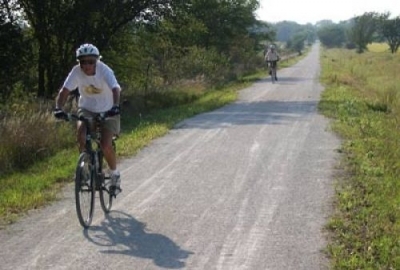 Known as one of the state's most versatile and popular recreational trails, this 13-mile rail-trail serves the communities of Valparaiso and Brainard and provides a picturesque setting for activities including hiking, mountain biking, and horseback riding. Location: Valparaiso to Brainard, Nebraska, Horse trail connects Brainerd southeast to Valparaiso, c. 20 miles northwest of Lincoln. Oak Creek Trail provides a picturesque experience along Oak Creek including native prairie, oak woodlands, and breathtaking views of Oak Creek as it meanders through the rolling hills. It is one of Nebraska's most versatile and popular recreational trails. The 13-mile corridor includes a limestone surface for bicyclers and hikers and a natural surface trail for horseback riders. A bluebird trail parallels much of the main trail. 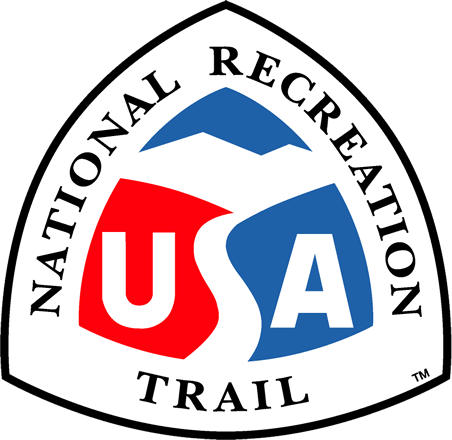 The trail serves surrounding communities, including Omaha and Lincoln. The trail serves as an example of how rural communities can take advantage of a trail providing trailheads, restaurants, and gas stations for trail users' enjoyment and convenience. The land was acquired through local efforts of trail supporters, construction of the limestone and bridges were financed by Federal grants, and the natural trail by completed by volunteers. The Lower Platte South Natural Resources District now holds title to the corridor and is responsible for on-going maintenance and improvements.